Ella took the reigns when it came to this month’s Bostik blogger’s craft challenge. Halloween is her favourite holiday. She loves it as much as I love Christmas and she starts planning her Halloween costume at the start of September! She decided to make a Halloween garland with hanging ghosts. The girls decided not to use the spiders! Cut out the ghosts and make a hole at the top of each one. 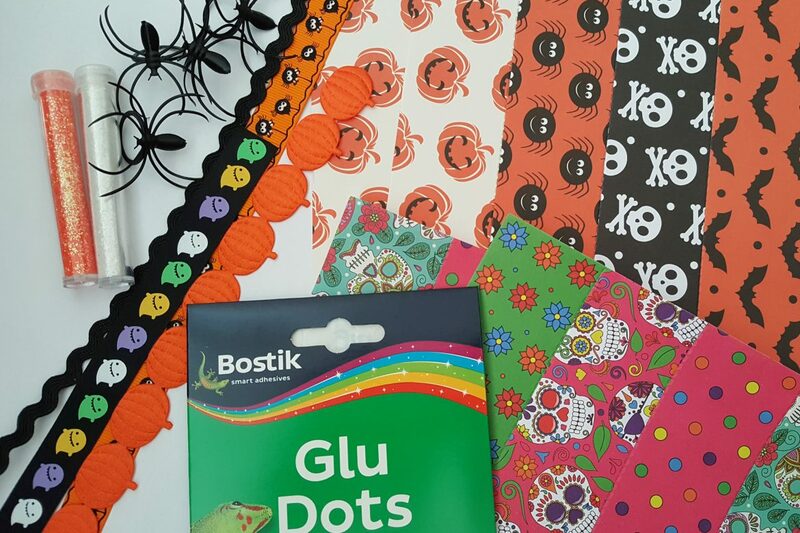 Thread a ribbon through each ghost and tie them onto the paper chain garland, or use sticky dots to stick the two sides of each ribbon together when its been put through a chain link.